Concerns about the strength of the economy may have eased slightly in the wake of positive second quarter economic data, but lenders still need to exercise heightened caution when evaluating consumer creditworthiness and establishing amortization schedules. U.S. households remain heavily indebted and many Americans are still struggling to make timely payments on outstanding loans. An Urban Institute study of more than 7 million TransUnion credit files found that the share of U.S. adults with debt in collections was nearly one out of three in 2013. The study found considerable variation between states. On a regional basis, the South had the highest percentage of residents with debt in collections, while the Northeast had the lowest. However, the state with the lowest percentage was North Dakota. CNN Money notes that the timeline for going into collections varies for different types of debt, but no matter which path the creditor takes to addressing the delinquency, "the cost to the consumer is high and long-lasting." Lenders have relaxed their standards considerably since the height of the credit crunch, making loans more available to those with imperfect credit histories, but having a serious delinquency on record can have a wide range of negative impacts. USA Today quoted Josh Bivens, research and policy director at the Economic Policy Institute, who called the build up of unpaid debts "yet another really bad legacy of the Great Recession that we're just nowhere near climbing all the way out of." Despite the growing concerns about consumer indebtedness, credit has been flowing more easily through certain sectors, including auto lending. 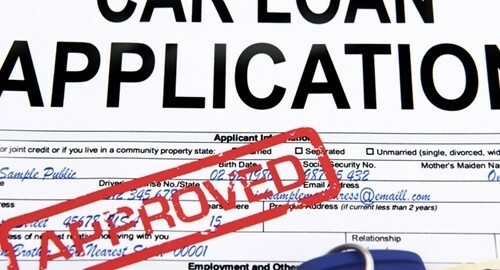 An August report from the Federal Reserve Bank of New York showed that lenders issued more than $100 billion in new auto loans during the second quarter, driving the total amount of outstanding loans above $900 billion. Fed officials have expressed concern about the growing share of auto loans being made to consumers with subprime credit. The Associated Press notes that the Office of the Comptroller of the Currency has also called attention to "signs of increasing risk" in the sector, specifically highlighting growth in average loan size and the amount of outstanding loans in default. The Fed's data also showed that loans issued by auto financing companies, rather than banks, "are much more likely to become delinquent." Auto dealerships and independent lenders that finance vehicle purchases can use Graveco's loan servicing software to develop amortization schedules that will help ensure timely repayment. Our software allows users to perform all the functions of a professional management company in a single system, from collection management to accounting and reporting. We also offer our amortization calculator as a standalone product. Please download a free demo of our loan servicing software or see our pricing, brochures and additional information.